The Centre Court at the All England Club is host to the Wimbledon Championships and has witnessed some of the best matches in the history of the sport. “If you can meet with triumph and disaster and treat those two imposters just the same” reads an inscription from Rudyard Kipling on the entryway of the famous Centre Court at the All England Club,London, probably signifying a historical past which has been witness to both triumph and agony at the famous tennis arena. The stadium a part of the tennis club and home to the Wimbledon Championship, currently third of the four Grand Slam calendar events, was built in 1922 and has since been home to the finals of the annual event and some of the best matches in history. While it is not one of the biggest tennis stadium in the world, but it remains the much talked about venue in the sport. It has undergone changes over the years and now has a retractable grass proof to prevent matches getting delayed due to rain(which had become a regular feature). The venue has seen it all the greatest tennis rivalries, epic matches, the moments of excelling at the world’s most prestigious tennis event, the frustrations and anything and everything a tennis match has to offer. It has remained a dream for every budding tennis player to play at the Championships. All this is what makes the Centre Court the best tennis arena in the world. Arthur Ashe Stadium is the biggest tennis stadium in the world. Arthur Ashe Stadium, named after the legendary American player and widely recognized as one of the world’s greatest sports venues, is a part of the USTA Billie Jean King National Tennis Center located at the Flushing Meadows-Corona Park in the New York City borough of Queens. 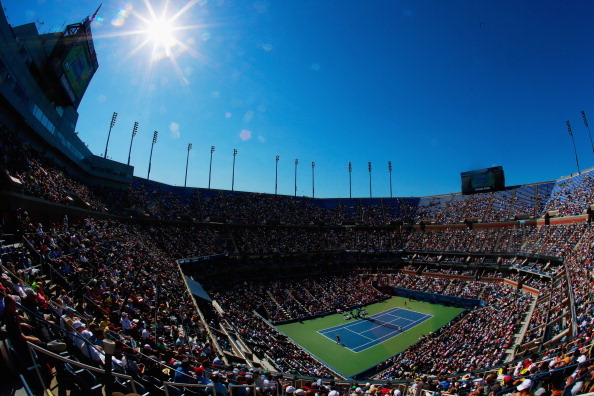 It is the main stadium for the fourth and final Grand Slam of the year, the US Open. It is by far the largest tennis-only venue on the planet with a seating capacity of over 23,000, 90 luxury suites, five restaurants and a two-level players’ lounge. 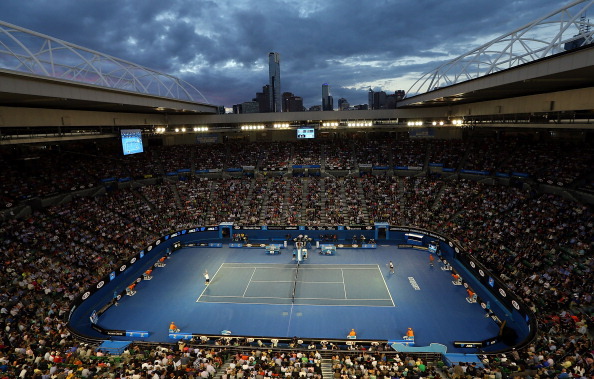 The stadium, built with a price tag of more than $250 million, makes it one of the most expensive tennis stadiums ever. Arthur Ashe Stadium replaced Louis Armstrong Stadium as the primary venue for US Open in 1997. While the stadium is equipped Hawk-eye electronic system, it is yet to get a retractable roof like the one at Centre Court at Wimbledon. It is however expected to have the much needed roof (to prevent matches being stopped due to winds and unpredictable weather) in place by 2018. The stadium in recent history has witnessed the emergence of Roger Federer as a Champion(he won the US Open from 2004-08) and also a rivalry between Rafel Nadal and Novak Djokovic. Court Philippe Chatrier is the prinicpal venue for the French Open and remains a fortress for current Champion Rafael Nadal. The legendary court, named after the late chief of the French Tennis Federation, is the main court at Roland Garros,Paris home to the French Open, the second Grand Slam of the calendar year. 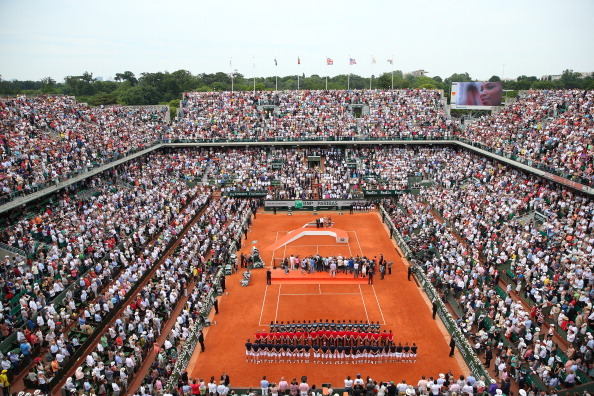 The court was built in 1928 and has since been the principal venue at the French Open. The four main spectator grandstands are named forles Quatre Mousquetaires (The Four Musketeers) after France Tennis Legends– Jacques Toto Brugnon, Jean Borotra (the Bouncing Basque), Henri Cochet (the Magician), and Rene Lacoste (the Crocodile) – who helped France win the Davis Cup in 1927 and dominated men’s tennis in the 1920s and ’30s. 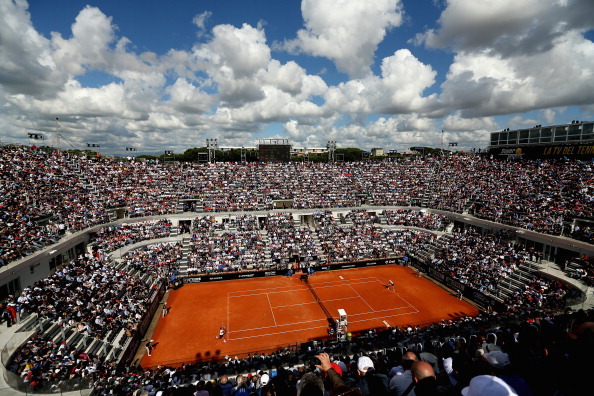 With a seating capacity of close to 15,000 it remains one of the oldest tennis stadiums in the world. Rafael Nadal might consider it as his second home as he holds the record of winning the French Open at the court 8 times(2005-08,2010-2013) along with French legend Max Decugis, who also dominated the French Open in early part of 19th century. 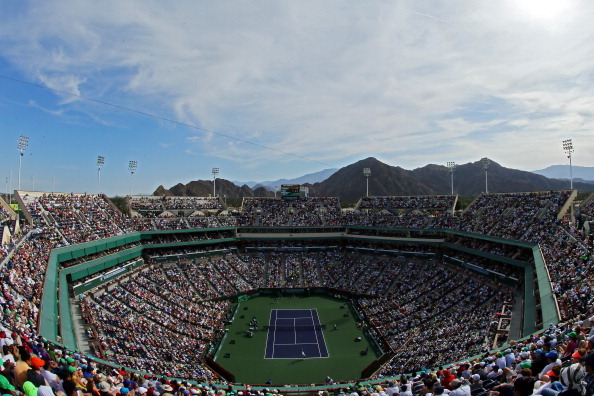 The Indian Wells Tennis Garden is one of the most picturesque tennis stadiums around the world. The stadium situated in Indian Wells, California, USA is the home of the Indian Wells Masters tournament (currently known as the BNP Paribas Open and previously known as the Pacific Life Open),the fifth largest tournament in the world. The tournament has been held here since its opening in 2000. The tournament is part of the ATP World Tour Masters1000 on the ATP World Tour and mandatory tournament for the WTA Tour. The facility was built with $ 77 million in March 2000 and includes a seating capacity of 16,100. It remains one of the most picturesque tennis stadiums around the world with palm trees directly behind the courts and snow-covered mountains in the as the back-drop. Rod Laver Arena is home to the Australian Open and has retractable roof to prevent weather playing a spoil sport for the crucial matches. It is part of the Melbourne Park complex located in Melbourne, Victoria, Australia and has been the main venue for the first Grand Slam of the year, the Australian Open since 1988. It replaced the Kooyong Stadium which hosted the event since 1972. The home to all the key matches of the Australian Open and named after the Australian tennis legend ‘Rocket’ Rod Laver, Rod Laver Arena has a 15,000-seating capacity along with a retractable roof. 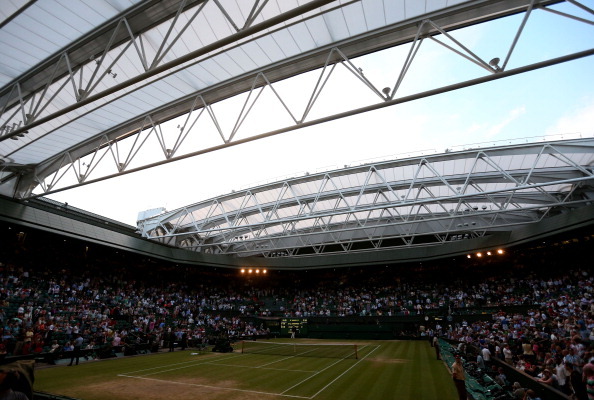 It was the the first Grand Slam venue to have the much required roof installed to prevent players and fans alike from the blistering heat of the Australian summer. The arena in addition to the tennis matches also hosts motorbike super-crosses, wrestling matches ,music concerts, and ballets. 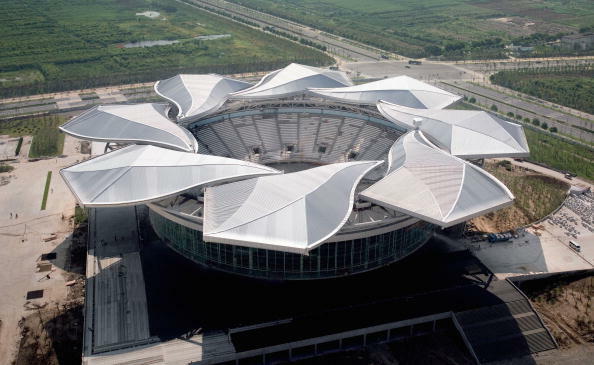 The Qizhong Stadium has a unique petal-shaped roof resembling a blooming magnolia which is Shanghai’s city flower. The stadium based in Shanghai, China, has a seating capacity of 15,000. It has a steel roof with eight sliding petal-shaped pieces (moved in 8 minutes) which resembles a blooming magnolia , Shanghai’s city flower. The stadium currently hosts the Shanghai Masters, an annual event and is adaptable to other events such as basketball , volleyball, ping pong, and gymnastics. The stadium is named after Roy Emerson, the 12-time Grand Slam champion and has an exquisite view of mountains and trees around it. The stadium is named ?n honor ?f Roy Emerson, the 12-time Grand Slam champion, ?nd winner ?f the Gstaad tournament ?n 1969. 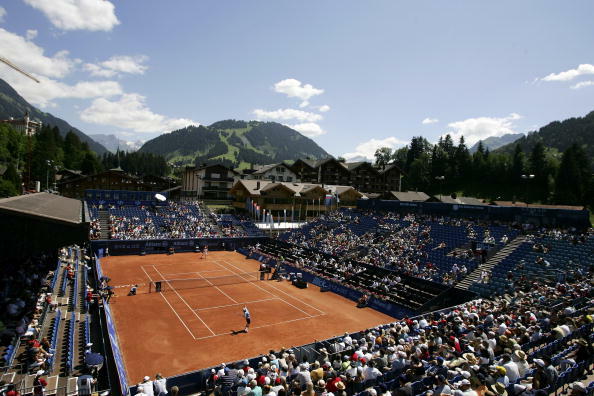 Based in Gstaad, south-west Switzerland, the stadium ?s the centerpiece ?f the Swiss Open , ?n ATP Tour event. The stadium has a capacity of 6000 spectators and has an exquisite backdrop of mountains and trees that give fans a great view to admire between the on-court action. Court Central, Monte Carlo Country Club is host to the Monte Carlo Masters. Based in Roquebrune Cap Martin, France, it features a majestic backdrop as it is surrounded by rocky Provence hills at one end and the glittering Mediterranean Sea at the other, possibly making it the most perfectly positioned tennis stadium in the world. 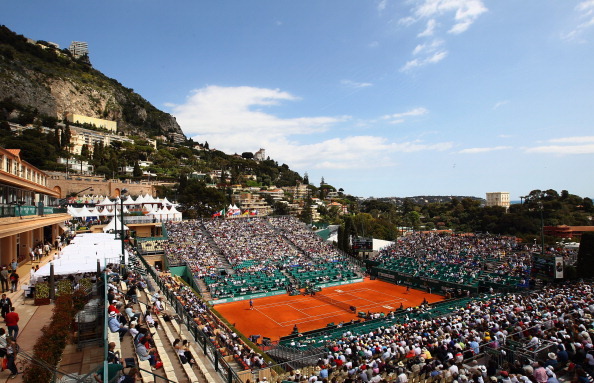 The stadium plays host to the Monte Carlo Masters and has seating capacity of 9000. The stadium, which is home to the Internazionali d’Italia(Italian Open) is based in Rome, Italy and lives upto the expectations of ancient Roman architecture as it features an amphitheatre seating surrounded by marble statues of semi-naked athletes. The whole atmosphere makes one to think that players would come out like Gladiators and fight for glory. The stadium was built in the early 1930′s and has a seating capacity of 12,500. 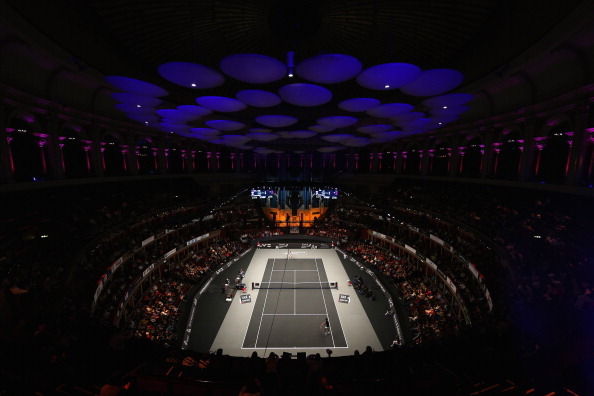 A glittering line-up of tennis champions have competed at the Royal Albert Hall. The venue which situated in London, witnessed its first tennis match in 1970 and is now host to the ATP Champions Tour Masters. The concert usually features concerts, ballet, and opera performances along with the annual tennis event. The final event of 2013 tour was held here, as it was since 1997, making it the longest-running event on the tour.